Proudly honoring a tribal nation and struck at the Native American Mint, the New Mexico 2015 Silver Cougar Navajo Proof can yours today from GovMint.com! Celebrating the Native American tribes that helped shape US history, the Native American Silver Dollar series brings the best of American craftsmanship and culture together. This series, issued by the Native American Mint, highlights a state, a tribe within that state, and an animal linked with the tribe’s unique culture on each coin. In addition to the coins’ appeal for their distinctive imagery, these are the only American, non-US government coins available for collectors today. Minted in part to raise awareness of the Native American culture and generate funds for Native American charities, the series will feature 50 Native American tribes in all. 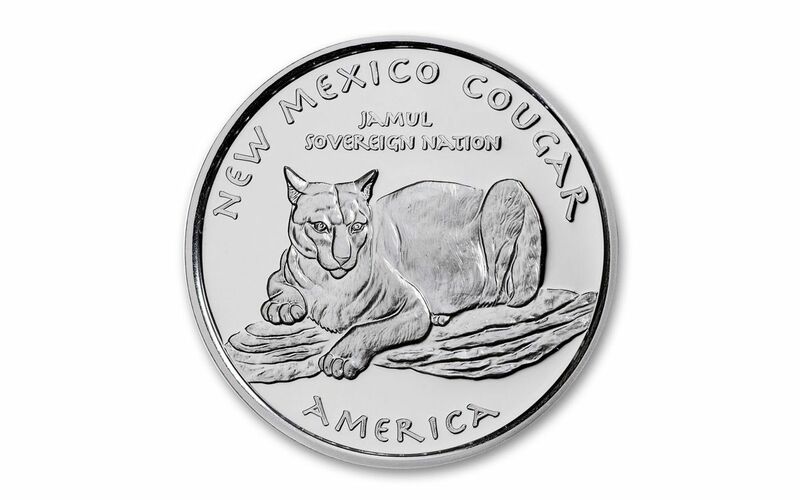 The second coin in the series is the New Mexico 2015 Silver Cougar Navajo Proof. The Navajo Nation extended beyond New Mexico into the states of Utah and Arizona—more than 27,000 square miles of dramatic beauty. One of the most distinctive elements of the tribe is its unique language, used during World War II to create a secret code to battle the Japanese. The Navajo men recruited to create and use this code are recognized as the famous Navajo Code Talkers, and are prime examples of the unequaled bravery and patriotism of the Navajo people. Fittingly, the Navajo chose the cougar as one of their most revered animals, a wild cat that features strongly in many Native American spiritual beliefs. For the Navajo, the cougar represented strength and stealth, but above all powerful protection. The timeless strength of the Navajo and cunning beauty of the cougar are now brought together in the New Mexico 2015 Silver Cougar Navajo Proof, available for you today at GovMint.com. 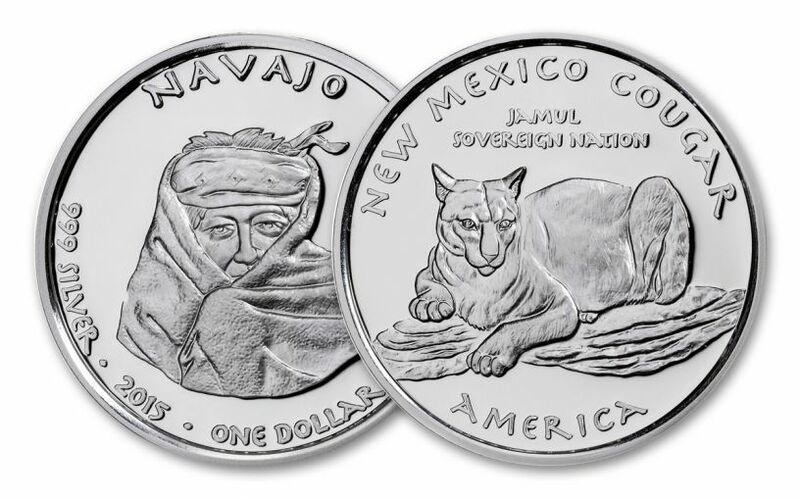 One of the most well-known of Native American tribes, the Navajo deserve a coin as striking as the New Mexico 2015 Silver Cougar Navajo Proof coin, which weighs 31.1 grams, and extends 39 mm in diameter. STEALTH AND INTELLIGENCE -- Considered extraordinary warriors who fiercely protected their own, the Navajo believed deeply in the mystical power of the cougar. Now these two images shine forth from the same coin to preserve that relationship forever. The obverse of your New Mexico 2015 Silver Cougar Navajo Proof coin features a Navajo tribe member tightly wrapped in a heavy blanket against a stiff wind. 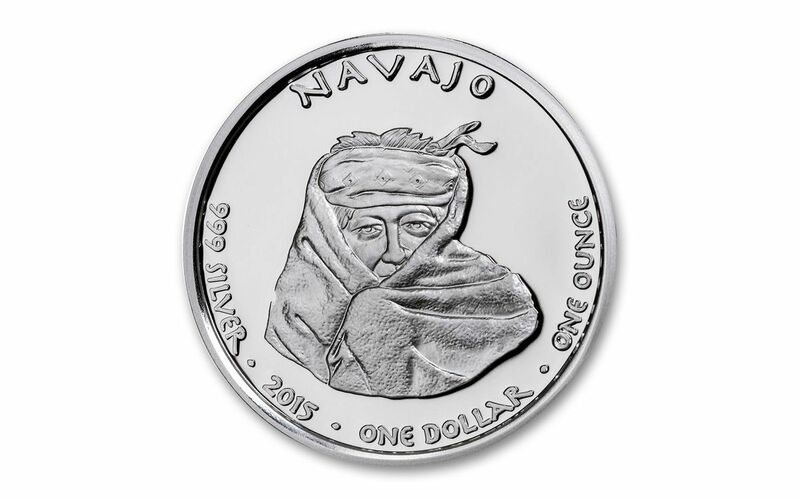 Stylized inscriptions on the obverse include "NAVAJO," "999 SILVER," "ONE OUNCE," "ONE DOLLAR," and the date "2015." The reverse of your coin is perhaps even more striking, depicting a cougar at rest on a rocky outcropping, its eyes sharp, ears flicked to attention. Also on the reverse are the words "NEW MEXICO COUGAR," "JAMUL SOVEREIGN NATION," and "AMERICA." PRISTINE PROOF CONDITION -- Your 2015 Silver Cougar Navajo Proof coin has been graded as Gem Proof condition by the Numismatic Guaranty Corporation (NGC). Proof coins are struck with specially made dies to ensure sharp contrast between flat, mirrored surfaces and raised devices. HIGHLY COLLECTIBLE, NON-LEGAL TENDER -- While these non-circulating, legally authorized coins by a federally recognized sovereign nation are fully one ounce of 99.9% fine silver, they cannot be used as legal tender. Remember the strength of the mighty Navajo with the New Mexico 2015 Silver Cougar Navajo coin, available from GovMint.com.